Bumble bee! 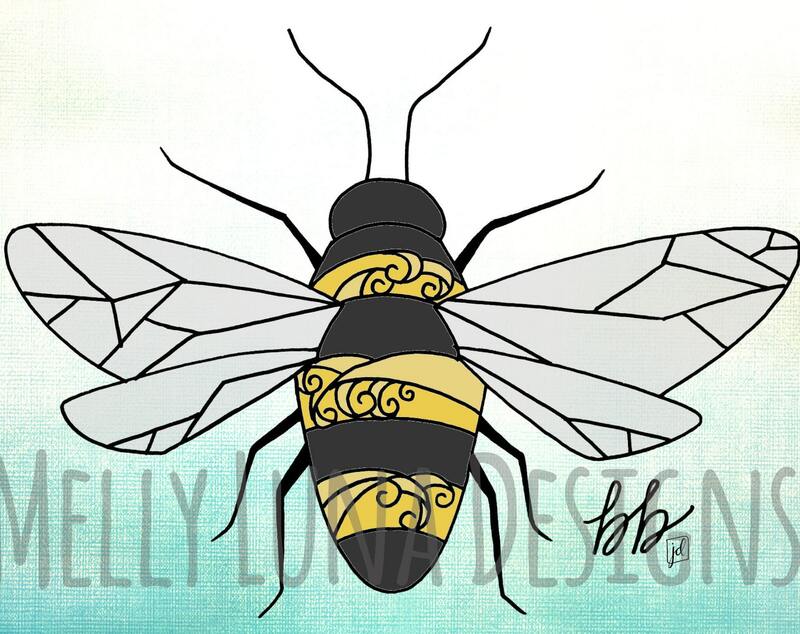 I love this simple drawing of a bumble bee with the MLD signature swirl detail. I love the symbolism of this little creature - community, brightness and personal power. Follow the bee to discover your new destination. The original art was created with pen and ink techniques and then overlaid on digital background art. 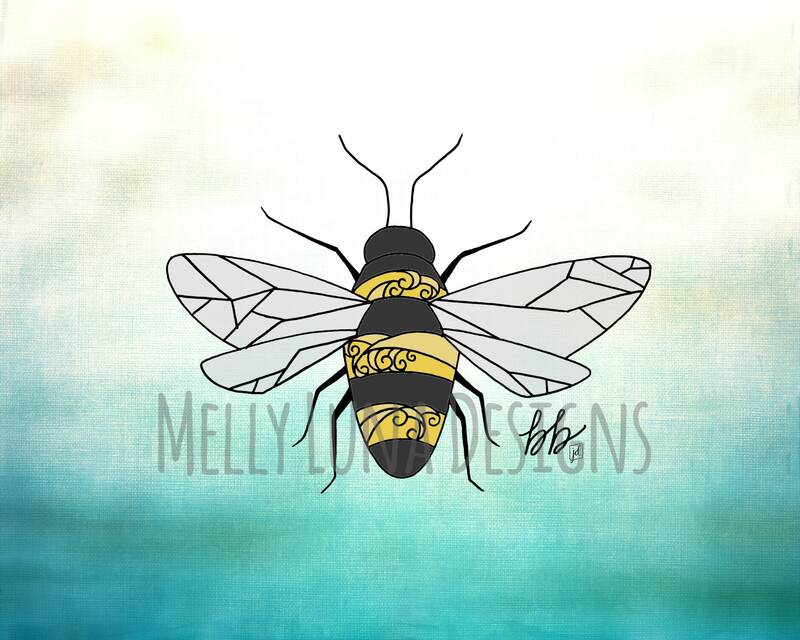 The digital background was created by fellow Etsy artist creativequbedesign @ https://www.etsy.com/shop/creativequbedesign?ref=l2-shopheader-name.